Gastonia NC Wedding Shoot - Separk Mansion. 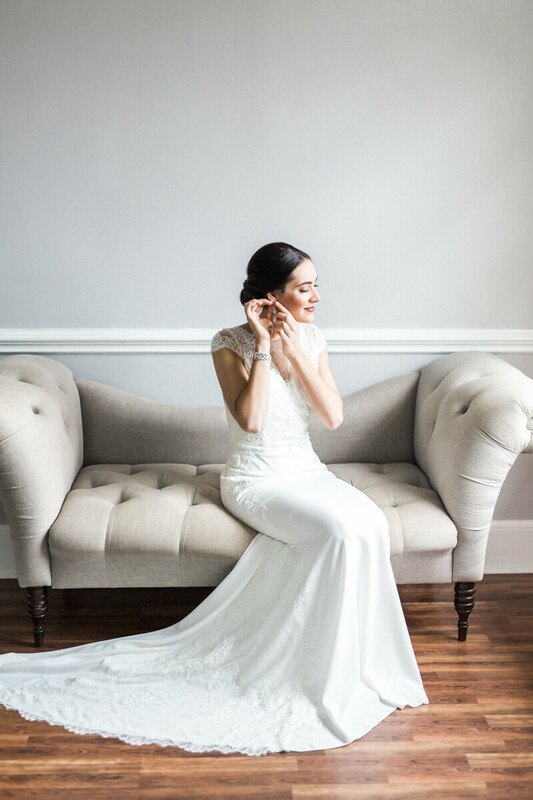 My design inspiration for the shoot was the classic elegance of Separk Mansion. We wanted to really show a look that was high-end elegant with modern touches. Incorporating vintage pieces and modern designs with colors, stationery, and food, we were able to combine the historical timeless feel of the mansion and modern day wedding trends. The bride's gown featured timeless lace detail, but with updated soft fabric and an asymmetrical design sweeping down the bodice and train. She wore art deco designed jewelry with a soft classic chignon, natural makeup, and deep red lips. The groom wore a classic tuxedo, but modernized by the deep navy color and brown dress shoes. The florals were lush and loose, incorporating greenery and the deep red and true red pops that echo throughout the design. Incorporating classical musicians really elevated the feel and experience of this shoot, lending a upscale, traditional vibe to the first dance for our couple. The tablescape was built around the victorian gold rim china, while adding touches of copper, touches of navy, and lush loose florals in red, white, and pink to add a fresh new feel that could work for any season. It goes without saying that our King Charles Spaniel, Crosby, stole the show and was a regal and very cute addition to our couple's big day! Built in 1919 by textile mogul Joseph Separk this elegant Charlotte area Mansion is characterized by its impressive Italian Renaissance revival architecture and large formal garden. Joseph Separk, his wife and son lived in the mansion during the 1920’s. 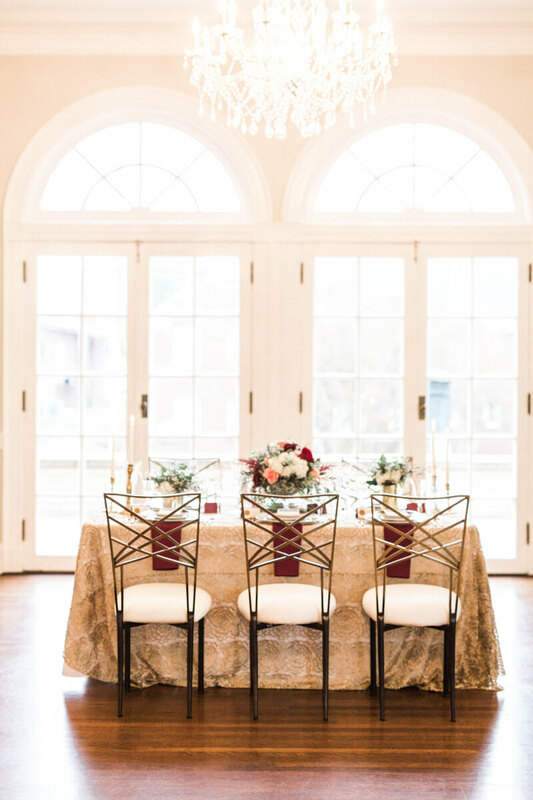 In 2012 the Mansion underwent a complete renovation and is currently one of the most popular locations for wedding ceremonies and wedding receptions in Charlotte, NC. The Mansion is located just 20 minutes from uptown Charlotte, North Carolina. The Mansion is part of the York Chester Historic District and is listed on the National Register of Historic Places.